According to the American Library Association, by 2020, information on the Internet will be doubling every 15 minutes. Consuming information without taking the time to reflect is bad for the development of critical thinking skills. Without reflection, we become locked in a pattern of remembering and communicating information without taking the time to assess whether the information is true, utter garbage, or a valuable missing piece in a puzzle. The first and obvious use of writing a journal is that it helps us to remember something later. Second, the act of putting pen to paper (or finger to keyboard) engages our brains. To write we have to think. Third, it isn’t just that writing a journal stimulates thought — it allows us to look at ourselves, our feelings, and our actions in a different way. Fourth, writing things down in a journal also allows us to ‘clear our minds.’ Having made a note of something we can put them on one side for consideration or action at a later point. 1. 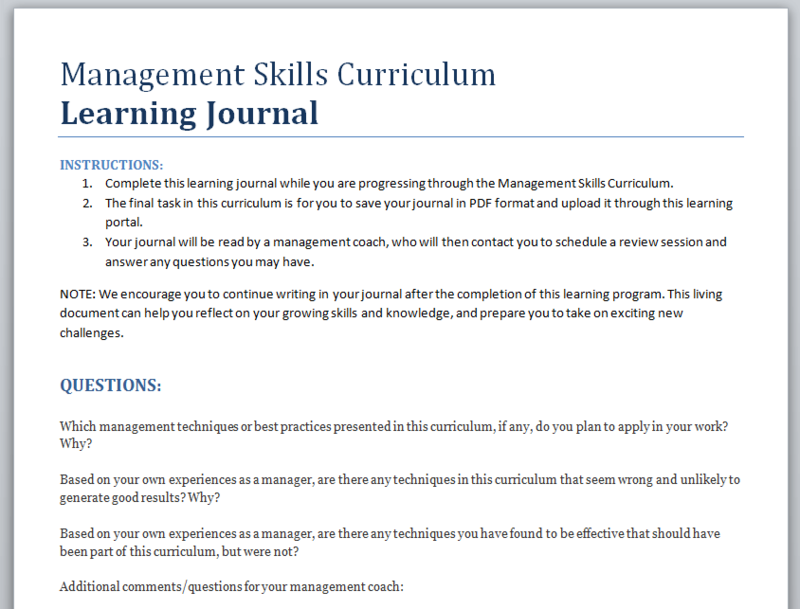 Create a journal template in MS Word or your preferred text editor to distribute to your learners. This template should contain questions or comments to encourage critical thinking. 2. 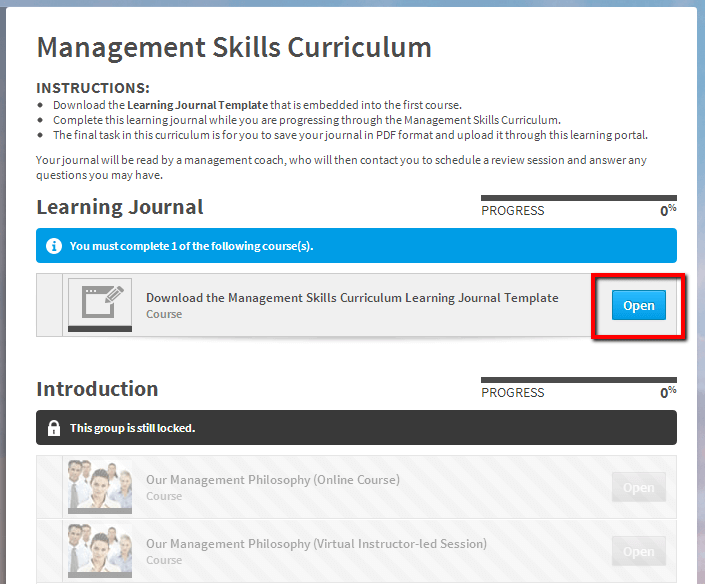 Upload the journal template and make it available to learners. 3. 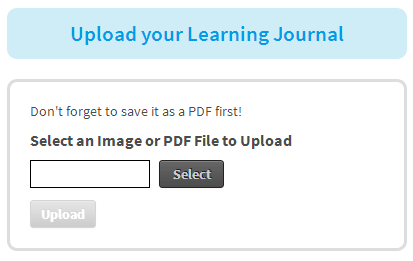 Create a task as part of the curriculum that enables learners to upload their journal. 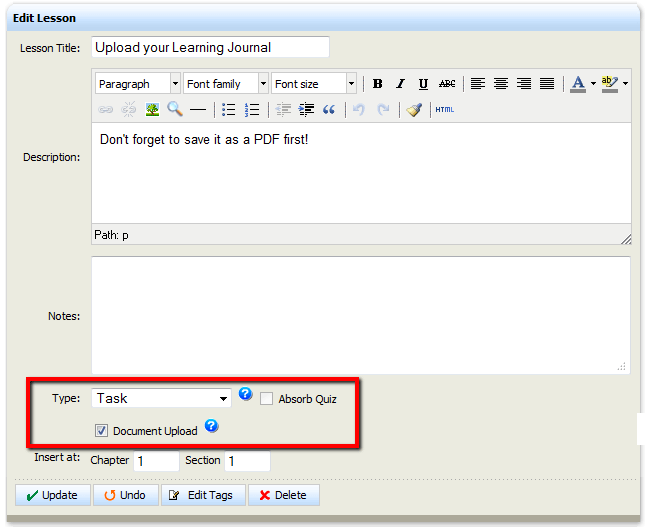 Learners will then be prompted to upload the file at the appropriate point in the curriculum.